Questions about online fraud you were too afraid to ask? You’re in the right place. In this series of articles, we’ll look at the very basics of fraud, how it affects businesses, and how to protect yourself with the latest solutions. Gambling is inherently risky. It’s part of the thrill. But for online gambling operators, this risk takes a different form than for its players. It’s to do with fraud, and the amount of ways in which nefarious individuals can exploit loopholes in their platform. As the online gambling market continues its meteoric rise (expected to reach 1$ Trillion by 2021), operators become increasingly high targets. Today, we’ll see what kind of challenges they face, and how to protect their business in the long run. While fraudsters tirelessly come up with new creative ways to exploit the system, there are a number of common attacks to watch out for. Bonus abuse: Whereby the numerous fake accounts benefit from new signup bonuses, coupons and other attractive offers. While these promos are an excellent way to attract new players, they can quickly make your platform run at a loss if you hand out too many of them. Gnoming: once again using multiple accounts to help one player win. The other accounts are used to lose deliberately so one can pocket all the wins and bonuses that go with it. Chip dumping: this is a practice found at the poker table. Like with gnoming, the idea is to make multiple accounts join the same table in order to cheat the system and influence the results in favor or against one particular player. Then, there are the payment attacks. Online casinos and gambling platforms are essentially digital wallets, so processing payment means a potential for losses there too. Stolen credit cards: fraudsters can use stolen card information to top up their account, which means using illegitimate money to pocket real wins. Chargebacks: this happens after the fraudsters have already topped their account. They then request a chargeback from their banking or credit card provider, which means getting refunded at the online gambling provider’s expense. Phone top up abuse: if your online casino offers phone top up, fraudsters now have sophisticated ways of topping up their client. They call burner phone holders, and trick them into topping up their balance, which actually goes to fund their gambling accounts. Finally, like with real brick and mortar casinos, owners have to watch out that they do not become a place of choice for money launderers. Any place that processes large amounts of money can be used to make illegally obtained cash legitimate, and gambling institutions are a choice destination for criminals. Device fingerprinting – finding information about the device used, as some of them will instantly point to suspicious usage. Email analysis – emails are often linked to social media accounts, which makes it easy to track fake accounts. IP analysis – similar to device fingerprinting, an IP address can reveal a lot about an individual’s internet usage, location, and potential for fraudulent activity. Some of these steps can also be used at login, to ensure that the right user is using the right account. Device fingerprinting and IP analysis can also help flag account takeovers (whether credentials have been stolen or acquired through phishing attacks). Finally, during account top ups, it’s important to monitor the credit card information to ensure it hasn’t been stolen or doesn’t pose a high risk threat. Which Third Parties Do You Need to Use? 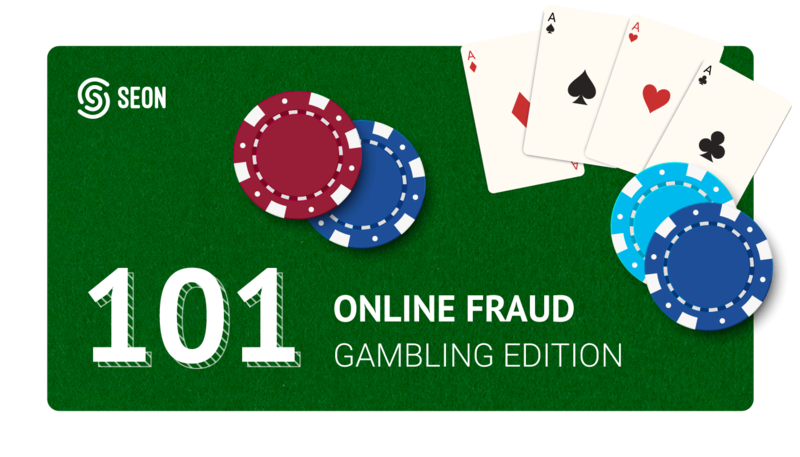 Gambling operators and online casinos do not face an easy task when it comes to monitoring and preventing fraud. Since they essentially operate as digital wallets, they will run into numerous risk factors, which requires sophisticated tools to analyze and flag data. However, like numerous other industries, implementing even a basic solution could be a huge boon. For instance, it will help them prevent loss of income from chargebacks, which can help increase their bottom line. More importantly, their business relies on user trust and building relationships with the players. If they do not believe the platform is safe or fair, they have enough competitors to turn to. Which is why preventing fraud and showing players that you are working for them can only have positive consequences on your business in the long term.